Do You Play Better At A Particular Golf Course? 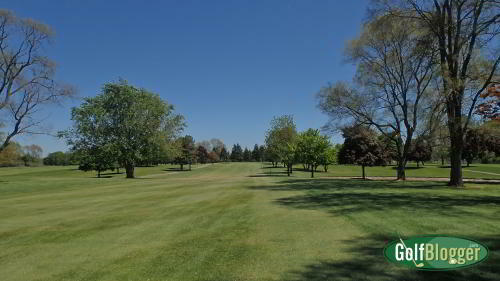 Over the course of a season, I will play two courses far more often than any other: my home course, Green Oaks, in Ypsilanti, and my league’s course, Hilltop, in Plymouth. Both are munis. They’re also relatively similar in terms of difficulty. From the middle tees, Hilltop measures 5,627 yards with a 128/68 rating; Green Oaks’ middle tees measure 6,163 and plays to a 119/69. Hilltop has smaller greens, and lots of elevation changes (as its name suggests). 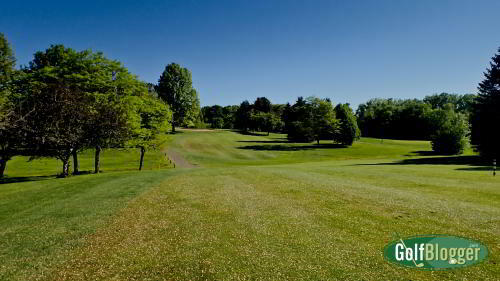 Green Oaks can be tight with the tree lined fairways and is significantly longer. So it is a wash, as far as I am concerned. Even so, I have noticed a curious thing over the last couple of years: I play much better at Green Oaks than I do at Hilltop. This observation is not about scoring (although better scoring is an artifact of the better play). I am convinced that I make better contact with the ball, hit my tee shots longer and straighter and chip and putt better at Green Oaks. At Green Oaks, I can go entire rounds without a single chunked shot and regularly make greens in regulation, in spite of the longer holes. At Hilltop, I sometimes feel as though I have no business on the course. A recent golf marathon really brought this dichotomy home. I played 18 holes with a group of friends in the morning. It was an awful spectacle, as I chunked and fumbled my way to an embarrassingly high score. Frustrated at the end of the round, I headed straight to Green Oaks — not even stopping for lunch — where I proceeded to walk another 18 holes. The results were night and day. I hit the first four greens in regulation, and on each, narrowly missed the birdie putt. By five holes in, I was clubbing down one because the balls were running to the back of the greens. By the turn, I was clubbing down two. I finished fifteen shots better than my score at Hilltop. I was exhausted and still playing better. But again, it’s not about the score. I was simply hitting the ball better. I wish I knew what made the difference. One possible explanations that that I play Hilltops with friends, and typically shoot around Green Oaks alone. Another is that the pace of play at Hilltop is much slower than Green Oaks. Playing in the mid afternoon or twilight, I can get in nine at Green Oaks in about an hour. Finally, I think it makes a difference that I ride with the group at Hilltop and always walk Green Oaks. But in the end, I’m going to put it down to mojo. For whatever reason, I have good mojo at Green Oaks.